This adventure game struggles to deliver on many of its promises. Twelvesmith is a stripped-down Evergarden successor, which makes it great for on-the-go play, but also slightly disappointing. 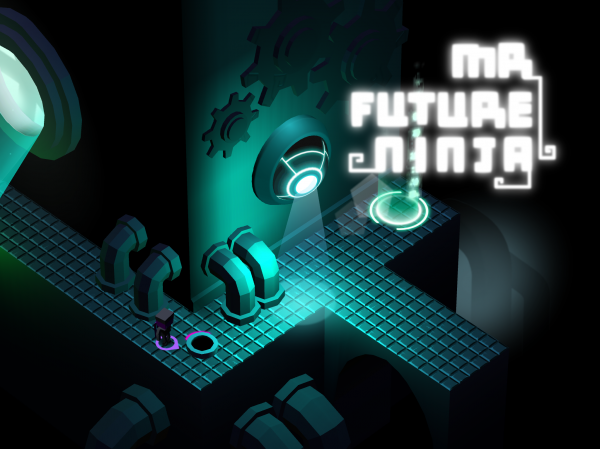 Mana Balls is an inventive arcade game that is weighed down by annoying free-to-play design. This gacha games plays more like an idle game, while ditching some of the worst parts of its contemporaries in the process. It may not be the prettiest card game out there, but Solar Settlers is a unique and satisfying solo card game that’s worth exploring. This generically named collectible card game packs in almost every single-player mode you can think of into a fairly priced package. The 1,000th day since MU Origin hit global stores is just around the corner — so what better time for another update? This April, players can expect fresh content to delve into, including new ways to fight rival players and a new realm to go explore. First things first, there’s a new clan system to unlock, allowing you to join forces with four other players to take on rivals. Costing 500 unbound diamonds, forming a clan grants you access to Clan Arena and Clan Assault, two player-versus-player options to sate your appetite for competition. 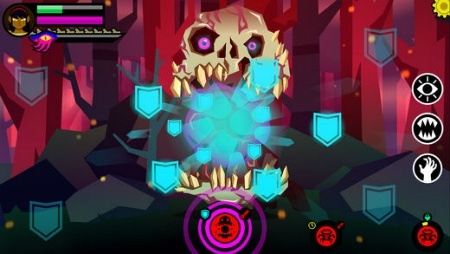 Clan Arena pits your five players against another clan of five in a battle to the death. Once one clan is entirely defeated, the fight is over and the rewards are dished out. You’ll receive clan honour points even if you lose, which can be exchanged for rare items at the in-game store, so it’s worth joining in. Then there’s Clan Assault, which takes 64 of the top-ranked clans in Clan Arena and sets them against each other in a tournament. Fight each clan one by one and aim to be the last clan standing for big rewards. Making your job that bit harder is the fact that you can’t depend on buffs, potions or auto-combat during Clan Assault, so you better be on top form. Clan Assault is held on the ninth day of every month. Want to know where to begin with AFK Arena? Check out our AFK Arena beginner's guide! Just in time for Easter, AFK Arena launched their first special event. Egg Hunters is all about hunting down ways to collect a new currency (eggs, naturally), and then redeeming them for neat prizes. While it sounds cool in practice, it's actually probably not all it's cracked up to be. In any case, see below what you can and should expect from this Egg Hunters event so you can make the most of it. The App Store is bursting at the seams with all kinds of apps and games of varying quality, but one of the most consistent issues with it is discoverability. Despite having what seems like unlimited money and a full App Store editorial team, Apple is astonishingly bad at celebrating games that aren’t already hugely successful. To be fair, Apple doesn’t have much reason to do this. It takes more work, and it’s far easier to sell people on games with name recognition and/or a mass market appeal than it is to actually explore a huge backcatalog and dig up some hidden gems. "Dog Sled Saga is a really solid management game that will charm you if you have any affinity for dogs. The races might feel like they get a little too easy once you figure them out, but the loop of continuously upgrading stays satisfying throughout." AFK Arena may be a less intense form of a gacha game, but that doesn’t mean it’s totally straightforward. As with other games in this genre, there’s a bevy of systems, modes, currencies, etc. that you’ll want to be familiar with as soon as you start playing, regardless of whether you’ll be engaging with them immediately or not. This is especially true if you don’t plan on spending any money on it. To help you hit the ground running in AFK Arena, check out these handy tips. All of them are sure to help you get a head start on understanding this fascinating gacha/idle hybrid. Spellsword Cards: Demontide is a wonderful little single-player card game, but it can also be quite unforgiving. Parts of it definitely look and feel like Hearthstone, but you can’t just play this game like its your favorite collectible card game (CCG) and expect to do well. With the recent release of Rush Rally 3, it's easy to be excited about mobile driving games. Figuring out what games in this genre are worth picking up, on the other hand, is a whole other story. Forget things like the Asphalt series, CSR Racing 2, or Need for Speed No Limits. Those games all may promise fast and fun cars, but they are all compromised experiences at best, not to mention the fact that they're all free-to-play. 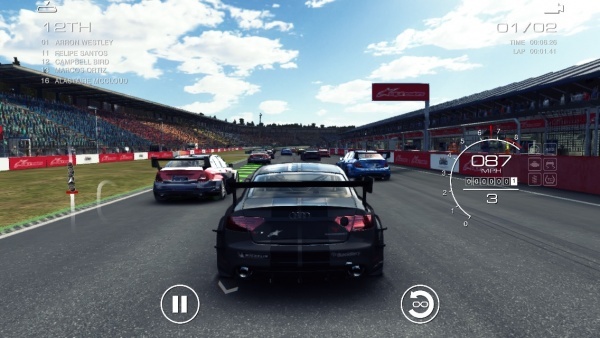 Check out these picks for the best premium driving experiences available on the App Store. German publisher astragon Entertainment and developer weltenbauer. SE have just released the third installment of Construction Simulator. Unlike Construction Simulator 2, which was set in the U.S., Construction Simulator 3 returns to its roots in Europe. This time, you'll be building your construction empire in an idyllic Alpine region surrounded by pine woodland, rugged mountains and colourful townhouses. There are 70 missions available, challenging you to construct everything from bridges to tower blocks. Fans of building sims are sure to love the eclectic range of vehicles at hand, from rotating tower cranes to compact excavators, all accurately reconstructed with licensing from the world’s biggest brands like MAN, Caterpillar, Liebherr, Bobcat, BOMAG and more. There are over 50 vehicles at your fingertips, with missions giving you the flexibility to use multiple options in your fleet. Long before Minecraft came along to take the crown of 'most played' game, there was another goliath PC game with 'Mine' in its title which held that distinction - Minesweeper. Those with long memories of dial-up broadband and insanely heavy cathode-ray monitors will no doubt fondly remember the popular puzzle game, and will be pleased to hear that its just been revamped with the launch of Globesweeper. Globesweeper is an entirely three dimensional take on the original game, applying Minesweeper's grid-based format to an array of spheres and cubes which you can click, rotate, and solve in space. It also adds two extra grid modes (hexagonal and triangle) to accompany the original square style. Other than that Globesweeper pretty much stays true to Minesweeper's puzzle formula - having you uncover squares to reveal numbers and (hopefully) avoid mines. Grand Mountain Adventure, a finalist at the Big Indie Awards 2018, has finally raced its way onto Android. The hugely impressive open-world skiing title hails from Swedish developer Toppluva, a studio made up of 3 snowboarding brothers. New players will find themselves at the bottom of the imposing Hirschalm ski resort. This introductory area is where you’ll learn the essentials and begin collecting ski passes, an important item that allows you to advance further up each of the game’s 5 mountains. Were you disappointed by The Elder Scrolls: Blades? You're not alone. 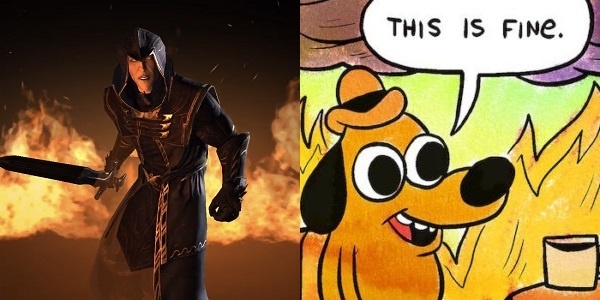 It's a bad game that gives off one of the worst first impressions I've ever seen. If Blades was your first foray into mobile games in a while though, I feel for you. Why? Because Blades is a poor representation of what mobile gaming can be. It plays into the platforms worst tendencies, but there are lots of mobile games out there that don't do this and are better for it. Imagine this: You’re Bethesda Game Studios, one of the biggest names in video games today. You’re renowned for bringing whole worlds to life through entries in the Fallout and Elder Scrolls series, two of the most popular and beloved franchises ever made. Your track record is far from perfect, but that’s mostly because your output is known for being richly detailed and highly complex. People applaud even when you stumble, because the ambition of your projects is so staggering that no one else even dares imitate you. Then, you decide you want to make a mobile game. What kind of game would it be? Given your huge audience, what statement would you want to make about the possibilities of gaming on the go, knowing that a ton of non-mobile-game-playing eyes will be watching your every move with rapt attention? Certainly not this, right? Apple made a lot of waves from its special event this week. 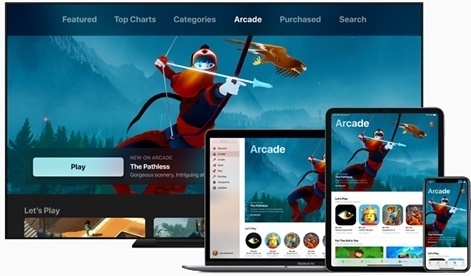 The announcement of Apple Arcade in particular, a subscription service that will deliver access to over 100 premium games starting this fall, sounds like a potential new step forward for gaming on mobile. As great as this might sound though, there are lots of things Apple didn’t talk about as it relates to this new service. A lot of what Apple said yesterday may sound exciting, but I have my doubts about the service given what wasn’t covered in their presentation. There’s just too many unknowns, and—given Apple’s track record on games—I’m not sure Apple Arcade will seem all that great when we get the answers. See below for some of the biggest mysteries looming over the announcement and my thoughts on why their absence has me worried about this service. Monsters with Attitude has the feeling of a non-serious party game, but it actually has quite a bit of depth to it. So, while the moment-to-moment action might feel like frantic nonsense, it is possible to reliably out-smash your opponents. If you're looking to dive into this free-to-play cross between Katamari Damacy and kaiju, check out some of the following tips to help you be a force to be reckoned with.